Different types of organization are established in the society. These organizations are established to achieve definite objectives. In order to achieve these goals, such organizations are required to perform a number of functions on a regular basis. To perform these functions efficiently, those organizations require a number of resources like men, materials, money, means of communication and transportation. These resources should be utilized in the best possible manner to meet ever changing the need of the society. Hence, every organization requires an office for the effective management of resources and information for achieving objectives. Planning is a process of deciding in advance about the course of actions. It is concerned with deciding what, when, where, why and how official activities are performed. The office prepares long term and short term plans and implements them by proper utilization of available office resources. Personnel function is concerned with selecting and appointing the right candidates in different managerial and clerical posts. The personal function also includes the activities relating to placing, training, promoting, transferring, remunerating, keeping a personal record and retiring the office staff. The organization establishes a separate personnel department to carry out such personal functions. Coordination is the process of linking the activities of different persons and department for the achievements of organizational objectives. Controlling is the process of evaluating the actual performance of office personnel and departments, comparing the actual performance with determined performance and taking corrective actions to minimize the variations in future. Communication is the process of exchanging official information between people or department inside or outside the organization. All these functions are carried out by the office. The office purchases necessary assets utilizes properly and safeguard them. It keeps a proper record regarding the value and condition of assets. It also maintains the record of the officers who are responsible for the proper utilization and maintenance of assets and reporting the condition of such assets. The office receives various types of information from internal and external sources. It collects the information from internal sources like office personnel and departments such as production, marketing, finance, accounting and personnel departments. The information received from internal and external sources may be different in respect of its priority. The office records that information which are useful and important for the organization. The information which is received and recorded cannot be used readily for planning and decision making. The office should process the information in a suitable form. The act of processing information involves calculating, grouping, tabulating, diagrams, drawing charts, summarizing and analyzing the information. The office handles all the visitors properly. It establishes a separate reception section for better services and satisfaction of the visitors and customers. Such better services and satisfaction of the visitors and customers helps to increase goodwill and promoting sales of the organization. 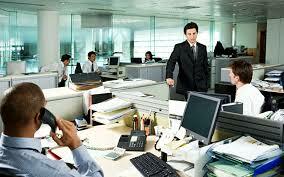 The office has to communicate the processed information to different persons and departments inside the organization. It also communicates such information to all the concerned parties like customers, suppliers, and government outside the organization as per their requirements. The information is communicated through fax, telephone, internet, e- mail etc. An office is a place where the control mechanisms for an enterprise are located, where records are initiated for communication, control and efficient operation of the enterprise. An office has to perform a number of administrative as well as clerical functions. Write short note on Personnel function of the office. The personnel function is concerned with selecting and appointing the right candidates in different managerial and clerical posts. The personal function also includes the activities relating to placing, training, promoting, transferring, remunerating, keeping a personal record and retiring the office staff. The organization establishes a separate personnel department to carry out such personal functions. What is full form of P.A? The full form of P.A is personal assistant. An office is the place where administrative and clerical task are carried out to achieve orgational goal is known as office.